I was at Pulau Dayang last weekend, teaching 2 Advanced Open Water Divers, and did 5 dives with them. Every dive, sighted 1 or 2 triggerfish, worst of all the students do not know how triggerfish look like. It was till my last dive on Sunday at Rayners’ Rocks, seem like the site is infested with TRIGGERFISHES. Every turn I made, triggerfish sighted no matter how we evaded them, it was LEFT, RIGHT & CENTER. The most tiring dive to evade and keep a look out for them, as triggerfish are in mating & nesting season. Titan Triggerfish on the right of the picture, please remember how they look like. Don’t leave bad memory by their nasty bites. 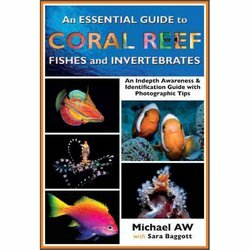 Following Fish Identification charts are free for use (www.scubadiving-malaysia.com) . They are much related to Singapore Divers.